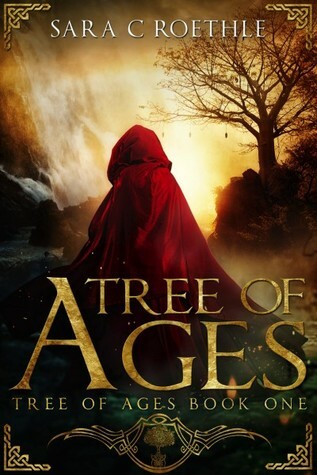 Discover The Tree of Ages Series! Our aim with We Write Fantasy isn’t just to provide meaningful content for both new and seasoned writers, but support each other. One of our favorite ways is to help spread the word when one of us has a new or upcoming release. Today we’re excited to share news about the latest installment in Sara C. Roethle’s Tree of Ages Series. Discover more about Sara’s pre-order & epic series below! A tree’s memory is long. Magic’s memory is longer, and far more dangerous. As Finn takes to the road, others are drawn into her life, as if by fate. Historians, scholars, thieves in disguise, and Iseult, a mercenary of few words whose silent stare seems to lay Finn’s soul bare. Dangers faced unleash a wild magic Finn never knew she possessed. Dark forces haunt her steps, stalking Finn for the knowledge locked away in her mind. Before the end, she will discover which proves the ultimate danger: The bounty on her head, or the perilous, forgotten truth buried within her memory. Book 1 is only $0.99 or FREE with Prime! Don’t miss the next exciting installment! We hope you enjoyed learning more about Sara’s epic fantasy series and are as excited as we are for her upcoming release! Stay tuned for future bookish events, giveaways & more!